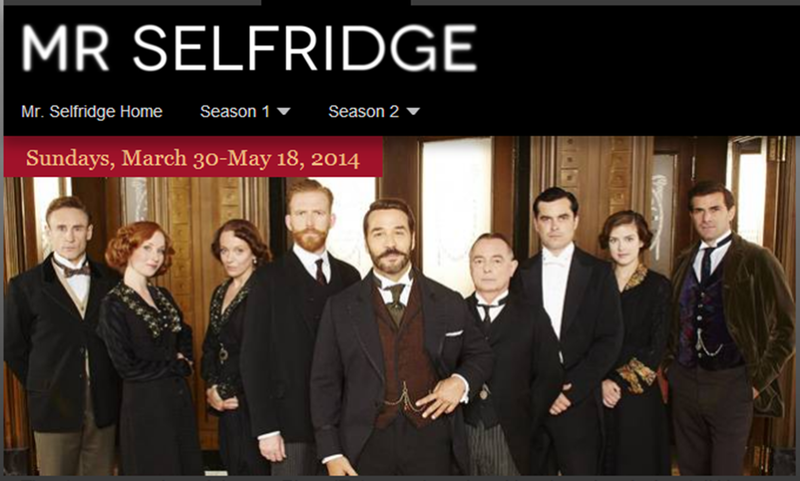 Mr. Selfridge’s Philosophy is Timeless – And Still Valuable – StratGo Marketing. Plug-in marketing department services. Thanks to the PBS Masterpiece series Mr. Selfridge, viewers on both sides of the pond have been introduced to the world of retail marketing and merchandising innovator Harry Selfridge. In 1909, Harry Gordon Selfridge launched his eponymous London department store Selfridges, which today is an iconic landmark. The store revolutionized the shopping experience for British consumers, and observers credit it for helping to propel major societal changes in pre-World War II Britain. While the TV series is outstanding, I’ve especially enjoyed learning about the business philosophy that underpinned how Selfridge operated the store. More than 100 years later, his breakthrough thinking remains spot-on and valuable to today’s marketing and business practitioners. 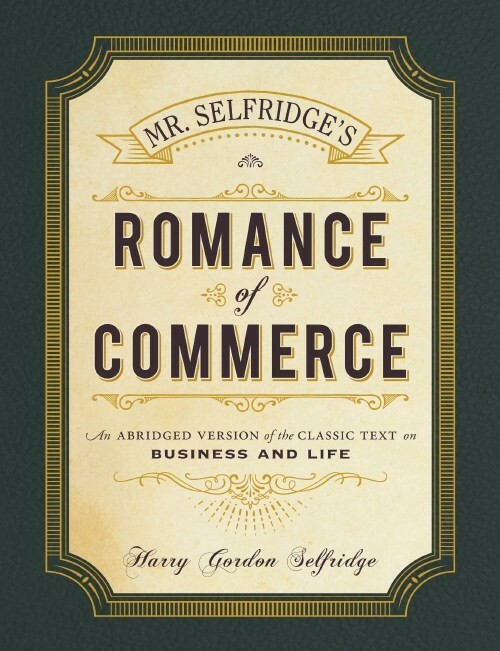 In 1918, Selfridge published The Romance of Commerce, in which he articulated his philosophy and explained his business ideas. Last year, Adams Media released an abridged and updated version, from which I’ve selected and organized some of his timeless marketing and business ideas. Take a few mid-summer reading minutes and soak-in the timeless wisdom of Harry Selfridge. This ability, therefore, to organize, to breathe into others that fire of enthusiasm, that quality of judgment, that spirit of progress, has long been considered by thinking men of commerce as the final and greatest of all qualities, the test of supreme commercial genius. The selling of merchandise is the primary reason for existence of a distributing business. Something new, something better must constantly be thought of, and the imagination of the sales manager must devise continually fresh schemes for the stimulus of sales. (The Sales Manager) must put himself in the place of the public. He must think from the standpoint of the customer. He must dream out the ideal, allowing his thoughts to run wild, and then by bringing judgment and experience to his aid and discarding the impractical and useless, crystallize the thought into workableness. Neither must he expect nor attempt to do all the thinking or imagining himself, but must be quick to receive and act on the suggestions of others, always giving them full credit for what they have proposed. To act always according to precedent is to acknowledge that one’s ability to think and judge is inferior to that of one’s grandfathers, and to assume with a blind stupidity that nothing is right which has not been accepted long ago. Steps had to be taken once; they were taken, and as often as not proved to be errors of judgment. No matter, the steps were taken, and right or wrong they are the only ones to be taken again. The head of the business must know at least in a general way the daily duties and the requirements of each of his lieutenants, though he need not necessarily be a master in each of the varied branches of effort. The chief requirements for management are judgment, promptness of action as opposed to procrastination, tact, and a mathematical mind. You may know him as a PBS television character, but Harry Selfridge was an innovative, retail marketing pioneer. More than 100 years after opening his iconic London store Selfridges, his ideas remain spot-on and valuable to today’s marketing and business practitioners. This is great ! Great job Harvey ! Loved this post. This advice, and a handlebar moustache, and I’m good to go. Reblogging this short and piquant commentary by marketing maven and friend Harvey Chimoff – – demonstrating that there are some universal truths in good management – and illustrated by looking at the case of Harry Selfridge.